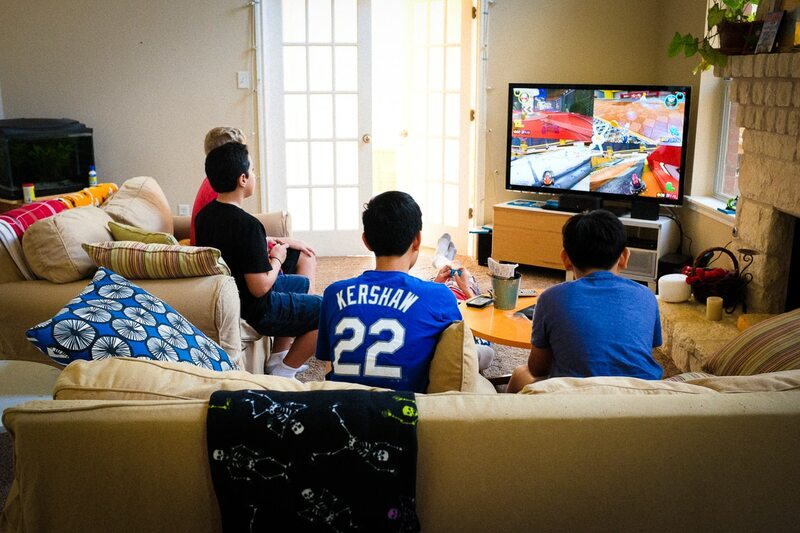 Here’s a photo of Koa and his buddies playing video games. He had a bunch of friends (6; all boys) over to hang out, eat pizza, and generally goof off. It was pretty fun, as far as I could tell from all the laughing. I think it’s pretty easy to take care of boys… or maybe it’s just because I have no idea what girls his age do for fun when they get together. ‍♂ It’s a huge mystery.